Have you ever taken a look at the ingredients in shampoo? If you have curly hair, it's best to avoid shampoos that are loaded with chemicals that can cause more problems for your curls than they solve. 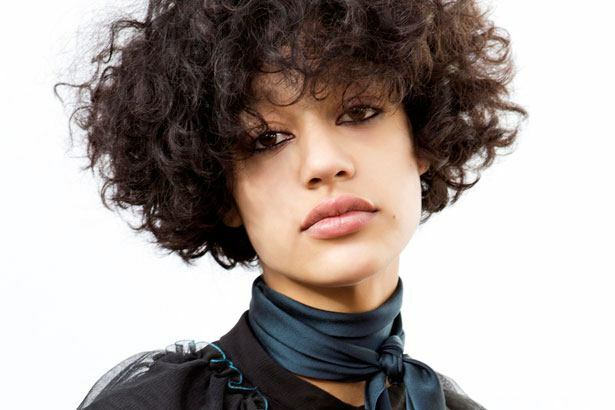 If your curls are dry and frizzy, it might be time to consider making the switch to a more natural option. Luckily, you probably already have this product in your house! Baking soda, or sodium bicarbonate, is a very cheap product that absorbs grease and removes oils from the scalp. Sodium bicarbonate makes an excellent clarifier and will give you soft, shiny and more manageable curls. The high pH levels of sodium bicarbonate (around a 9) helps the shaft on the cuticles of your curls open, which then allows moisture in. Opening your cuticles is important to allow moisture and hydration into the cuticle, which it does the best work. It's important to make sure the cuticle closes after the wash though, to ensure it doesn't become porous or damaged. You can close your cuticle by using an aloe vera mix or diluted apple cider vinegar. This will bring your curls' pH levels back down and ensure your cuticle closes. Follow up with a hydrating deep conditioner. It's important not to clarify more than once a week so as to avoid over-stripping your hair of its natural oils. Combine all ingredients to create a paste-like consistency. If it's too thick, add water slowly until it's thin enough. Don't forget to follow up with the after care! If making your own isn't for you, add a tablespoon of baking soda to your favorite curly care shampoo!